Our scope, of course, goes back to the beginning. As I finish up TGA Vol. IV, No. 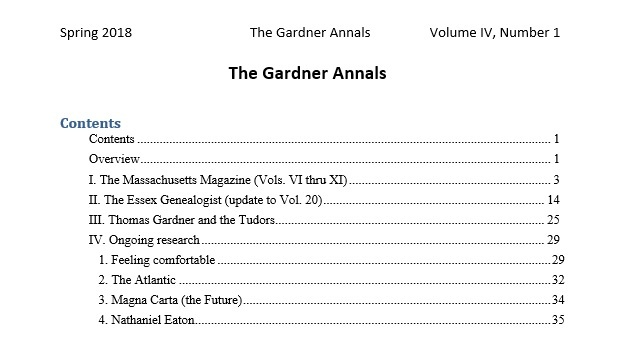 1, various subjects related to the early times come up due to the review of all articles in The Massachusetts Magazine. At the bottom of this post is the TOC for the upcoming issue. We have written about F. B. Sanborn (What is an American?). In TMM, Vol. IX, No. 2, pg 163, F. B. wrote about Hector St. John (namesake of St. John's, VT). Hector was here for a while, got caught in the Revolution, was captured by the Brits, taken back to England, and then got back to his folks in France. There, he wrote retrospectives of what he saw. They were immensely popular due to his first hand experience. Of note is that he experienced the time of turmoil and that he had a good opinion of the U.S. (which was to be). People on the continent were interested in what was going on. A little later, the French had their own revolution. There have been some interesting looks at Hector and kindred souls. This is an example of a few works concerning Hector. Hector's first work: Letters from an American farmer. Describing Early America - compilation by Pamela Regis. Includes an essay by Hector. Crevecoeur's Eighteenth-Century Travels in Pennyslvania & New York, translated/edited by Percy G. Adams. The following is the Table of Contents. All of these books are via Google books, in a preview mode that does not show all pages. 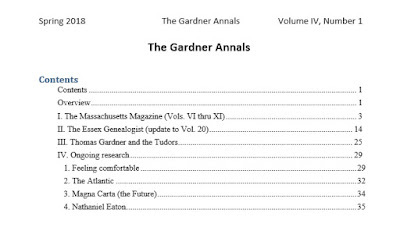 TOC for TGA Vol IV, No 1.